It would be cool to see them in the remaster, but if they're not, then I'm not too bothered about it. I hope that we get most of the basic animations back from the PS1 games, because I know in N Sane, they didn't have an animation for Crash when he was on the rotating platforms in Cortex Strikes Back, I can't remember the name of the level. So let's hope they keep the animation of when Spyro is at an edge, and he peers over, and the ones where he's idle, and he licks his paw and his crest, and the one where he looks around, and then breakes the fourth wall, by looking at you. Wonder if they'll do a competition where you can make your own animation, surely there's bound to be one where Sparx & Spyro interacts with each other, something that I felt was needed more in the original games - more interaction between Spyro and Sparx, they are supposed to be best buddies after all. One that could be neat is the idle sleeping Spyro from A Hero Tail. Yeah, that would be cute, but I've only ever see him do that once when I was playing it. Guess I never left him idle for that long, that often. I still want to see Spyro stretch like a cute cat. I've been thinking, since the Crash Bandicoot N. Sane Trilogy has now been announced to be multi platform, what if this likely Spyro trilogy would just be going straight to multi platform rather than PS4 exclusive at first? If so, I'm still getting it on PS4. Seeing in the Crash Bandicoot N. Sane Trilogy how they made Crash 1 a bit more like Crash 2 and Crash 3, what if Spyro 1 were made to be more like Spyro 2 and Spyro 3? In Spyro 1, the gem counter keeps track of the gems you have for the level you're in, while Spyro 2 and Spyro 3 had the gem counter kept track of the gems you have in the entire game. Should Spyro 1 change the gem counter to keep track of the gems you have for the entire game? You could always check the inventory for the remaining gems you need in a specific level. Should the gems and gem containers be the same in all three games? Should the chests and anvils in Spyro 1 be converted to baskets and vases, or should they stay the same, or vice versa? Should the gems of red, green, blue, yellow, and purple in Spyro 1 be changed to red, green, purple, yellow and pink in Spyro 2 and Spyro 3? Or vice versa, or not at all? Should the cannons in Spyro 1 be converted to the cannons in Spyro 2 and Spyro 3. Rather than Spyro pushing them with his head and activating them with his flame, they function like Spyro 2 and Spyro 3? What if the fairy kiss super flame in Spyro 1 had a timer like all the powerups in Spyro 2 and Spyro 3? I don't see any issues with that, and I think it would actually make it better. The level specific counter was more useful imo. Timing the faerie kisses would add an interesting challenge. NO Malefor in the remakes! Everything else is superfluous to me. Malefor really has no place in the games unless he was replacing the Sorcerer(from SL, not Sorceress). It's not like Cynder where you can put her anywhere and just say she's a random edgy dragon that likes to kick tail as well; or the LOS Dragon Elders that are just some vague guardian folk. ^what are you guys talking about, just replace gnasty, ripto, and the sorceress with malefor fr the ending of the three games. makes perfect sense to me. It's going to be PS4 exclusive for the first year like Crash, according to Laura Kate Dale's report. Also this is a theory for both Spyro and Crash I've had for awhile, but I feel like these remakes are a sort of soft reboot, if you will. I think Activision/Vicarious Visions/potentially Toys for Bob know the sketchy history of both franchises after the PS1, so they would think that they'd be better off just soft rebooting both series. i just checked boxlunch to see if they got more medium spyro shirts in stock and there are none. Are they getting more in stock or were they limited time only? see, I knew you would understand. you were always the sensible one. Speaking of a similar thing, it’s not really a matter of animation but rather the way Spyro interacts with surfaces of various kinds, but I absolutely want them to keep it how it is. It’s hard to explain but I’ll do my best: when Spyro is standing on certain slightly curved surfaces his legs and paws reacts accordingly, bending slightly to better suit them. It’s one of the most immersive “animations” I’ve ever seen, and it kinda shows even when he’s running over curved structures such as bridges or hills; he absolutely follow the curve smoothly and you never feel like it’s not natural for him to do so. Many modern games solve that by having their characters follow a somehow straight line which roughly follows the direction of the curve, and many times it seems almost as if they were climbing an invisible ladder. Just look at some of the videos where players take Spyro where he shouldn’t be, you’ll notice it immediately. I wasn't really serious about the Malefor thing. Just threw it out there. One thing I was thinking about, Trophies. (And if Xbox, achievements.) Here's what I could picture as Trophies, provided a playable Cynder would be an option in the trilogy. What do you think could be good trophies? I wasn't even thinking about the trophies, yeah. I do wonder what they would be. I hope they don't add any of those trophies that only a few people can get. You forgot the skill points on the list of trophies!! Instead of having Malefor at a "Game Over" why not Red from A Hero's Tail? It would still be out of place since he's still not a part of the first three games, but at least he's in the original series? Or perhaps, if you "Game Over" in Spyro the Dragon, then Gnasty Gnorc appears and he could cast a spell and turn the screen into stone? Then in Ripto's Rage! Obviously Ripto would appear. And in Year of the Dragon, the Sorceress would appear, also it would be nice if they gave the Sorceress a name, and the Professor a name, because we don't know their names at all, and it seems a little odd that we don't, considering everyone else has a name. Red isn't a real villain though. 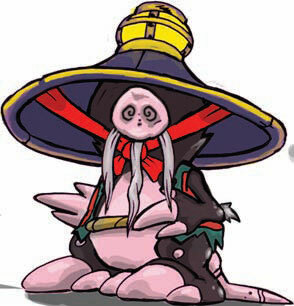 Not only he's banished at this time of the series, he was also just coarced by the Sorcerer to start using Dark Gem materials. Just use Ripto instead since he's the only one that's 100% not dead by the end of SL - Gnasty also counts, but he's a bit more ambiguous because of AHT. I like that list a lot. Like Bifrost said, you missed getting the skill points in 2 and 3, and I highly doubt Cynder is gonna be in the remakes, so maybe replace that with Hunter. Also I imagine there'd be an ultimate trophy for completing all three games. Professor not having a name makes no sense, but the Sorceress is probably because she's been alone with her minions in Forgotten Worlds for so long. She doesn't need a name, she's just the sorcerous one with great powers who can do whatever she wants. But Season of Ice is about her library being used freely, which could mean her real name is somewhere in there. I could see what you're saying. Though, I think someone like Bianca would probably be aware of her name at least, since she's her #1 minion. even if most people wouldn't really know it. I can't wait to see these guys in the remaster lol. Still scary and creepy as heck. Creatures such as that or the ones in Jaques make me wonder how they’ll handle those designs. There weren’t as many scary monsters in Crash’ games but the N. Sane Trilogy’s game over screen shows V.V. isn’t afraid to try scarier approaches (fun fact: Warped’s game over screen used to scare me to death when I was a kid). Even the big beasts in Alpine Ridge could turn out either more cartoony or plain terrifying. Hard to decide, because while they fit the overall style of the game I think it was Insomniac’s intention to make them scarier than most of the other mobs, so toning them down might make them loose their uniqueness. Speaking of them possibly toning down mobs, I wonder what they're gonna do about the gnorcs in Twilight Harbor, seeing as having a bunch of enemies just carrying around and shooting non-cartoony machine guns in an "E" rated game probably won't fly quite as well as it did back in the day. They can probably be just replaced with laser guns. Easy to explain away with Metalhead around. Didn’t some Crash’s enemies have shotguns? Maybe we could get an idea on what to expect by seeing how V.V. handled them. They could simply make them so exaggerated and cartoony they will actually look funny (by the way there are also the ones in Terrace Village and the dinosaurs in Dino Mines): I do think they should keep the weapons, because I’ve always seen the Gnorcs and Gnasty as the technological menace which threatens the peaceful magic realms. As for Dino Mines, they have the excuse of the far west theme. I mean, it'll get an E10+ at most, which N. Sane Trilogy did as well, so it doesn't really matter. 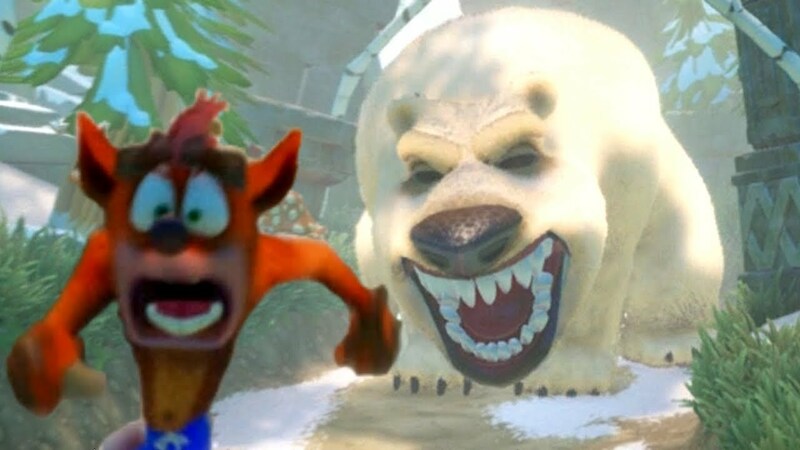 The bear in the N.Sane Trilogy looked pretty scary. As you probably know already, I'm really concerned about how the new models might turn out. I don't want them to look uncanny. And regarding the gnorcs in Twilight Harbour, I was rather taken aback by their choice to use machine guns to be honest. I'm not sure if they'll still keep them in the remaster as I know it is a touchy subject, and I'm not sure if they can actually get away with it anymore. What a lot of kids' media uses instead are laser or ray guns. Perhaps VV will do that as well. Who knows. Edit: I saw that Bifrost suggested ray guns as well. I mean, VV kept the guns in the N. Sane Trilogy, so I don't see why couldn't in Spyro. It might get an E10 rating, but still. Yep, that bear is definitely both scary and cool, which I think is what they should aim for with Spyro’s monsters. As for the uncanny designs, I’d actually be ok with some of them being that way, particularly in the first game. Gnorcs and other humanoid enemies always gave me the feeling of “what am I looking at, exactly?”, because while I recognized the general shape I couldn’t properly define the various features. That was most likely due to the PS1’s limitations, but I wouldn’t want them to look plain goofy or child-friendly: a bit of uncanny-ness is welcomed in my book. If they did keep them in Crash I see no problem doing the same for Spyro, then. I hope they make some of the enemies a little more intimidating where possible, like the big roaring creatures in Alpine Ridge and the bugs in High Caves. The mooning. The Gnorcs in Peace Keepers and the Rhynocs in Frozen Altars. They moon you. Should that stay? Or should they have underpants on? If anything, I'd imagine they'd blur it. butts are like kindergarten level humor, so I can't even begin to imagine why that would be censored, lol. If there’s gonna be a game over screen, just remaster the originals. Honestly. ^ Agreed. And if they just want one game over screen, just use the one from the first game. yeah, I would be upset if they remaster the original game over screens to be honest. I liked them. I saw them more than anything else. imo its just something silly, and there are worse things in video games. I'd love to see the game pause automatically the first time you come up to a Foreign Legion Gnorc and the game says (in a green 'n' gold screen) that you're about to witness something so hilarious you might actually burst, so you can either have the blur effect or you can see a Gnorc's clean shaven, super smooth fluorescent yellow tush in the glory of 4K at 60FPS. Like in Brutal Legend. NO WAIT. There needs to be a third option: You can also see their butts in the original shape and shaders! "Real Gnorcs don't have curves; they have corners". I mean, it's totally okay to repeatedly air minion and gnome butts on commercials during children's programming. I wish they could preserve the mooning, but would be fine if they added underpants as long as they kept the animation and effect. Possibly ridiculous ones, like the usual white boxers with red hearts you see in every comical situation. Speaking of those very same enemies, what I hope for even more is for them to keep their unique death animation in which they get knocked out, try to get back on and finally fall to the ground with all sorts of funny sounds. Crash didn’t have many death animations for enemies but Insomniac went crazy with Spyro’s. Pinstripe has a machine gun. His bullets have been changed into tiny missiles that no one would ever notice the difference. Didn’t notice that change, but what I did notice is how they changed the actual speed of the projectiles making them much slower. Wouldn’t want to see that in Spyro as well, they kinda seem less threatening. The second update isn’t really new, but the Classic Trilogy is on sale both in the european and australian PlayStation Stores until the 21st of this month. Could that be a hint on when to expect the reveal? Apparently went up March 10th.